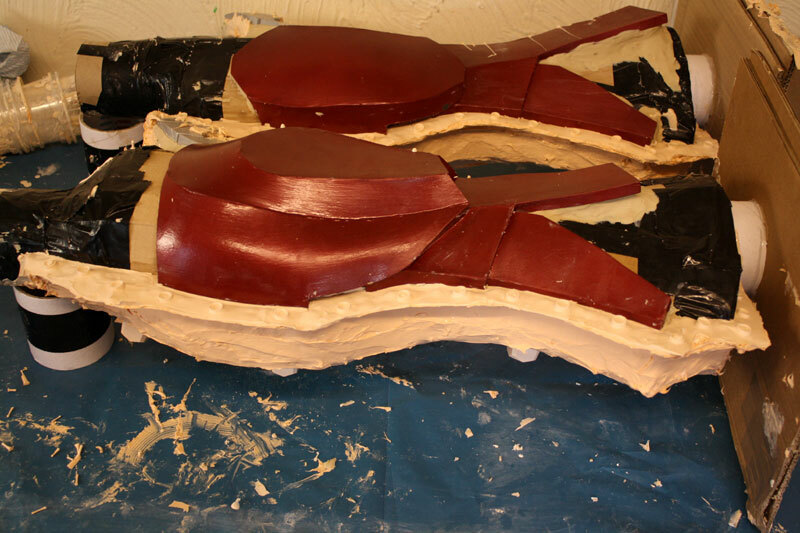 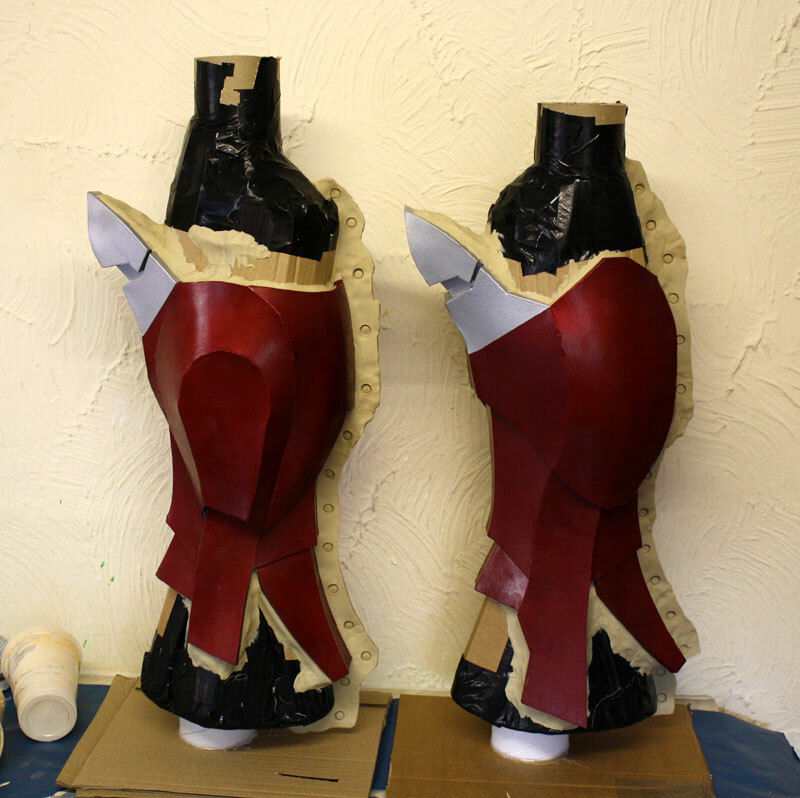 This page is about moulding the legs, check out the main project index for the rest. 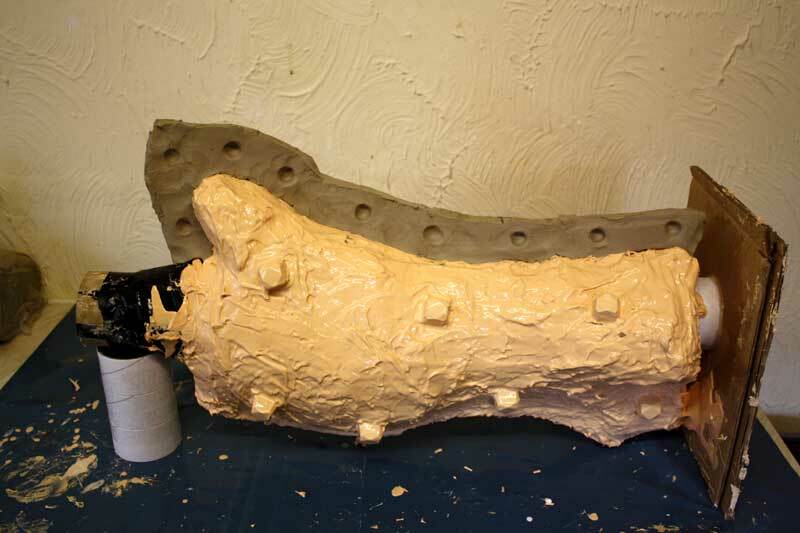 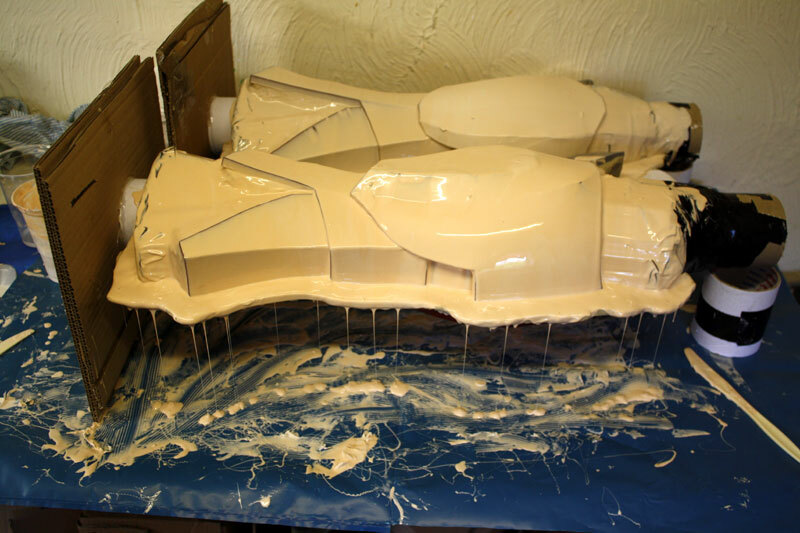 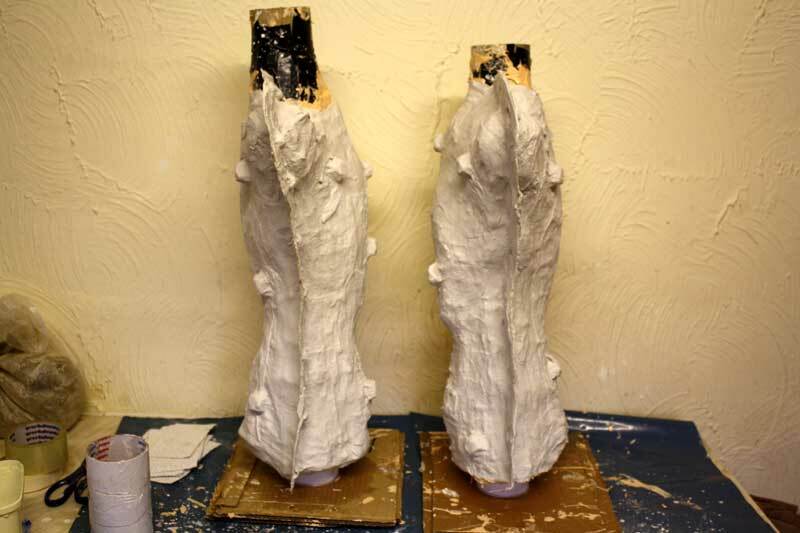 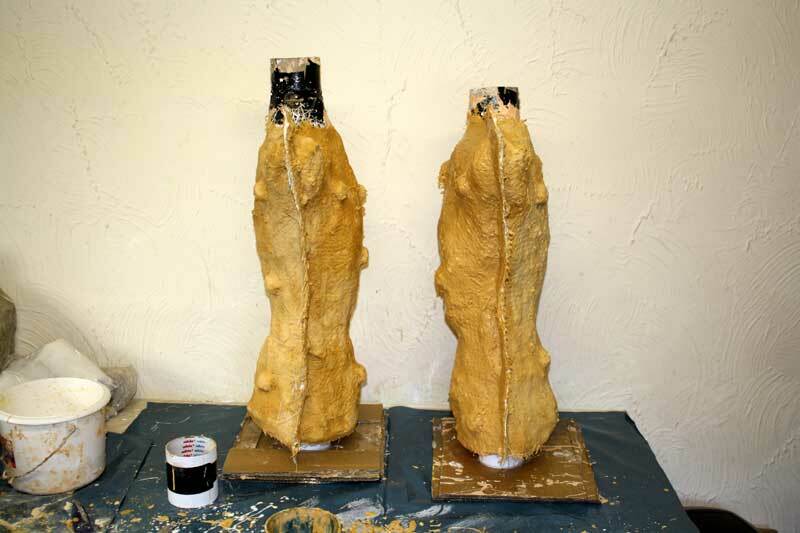 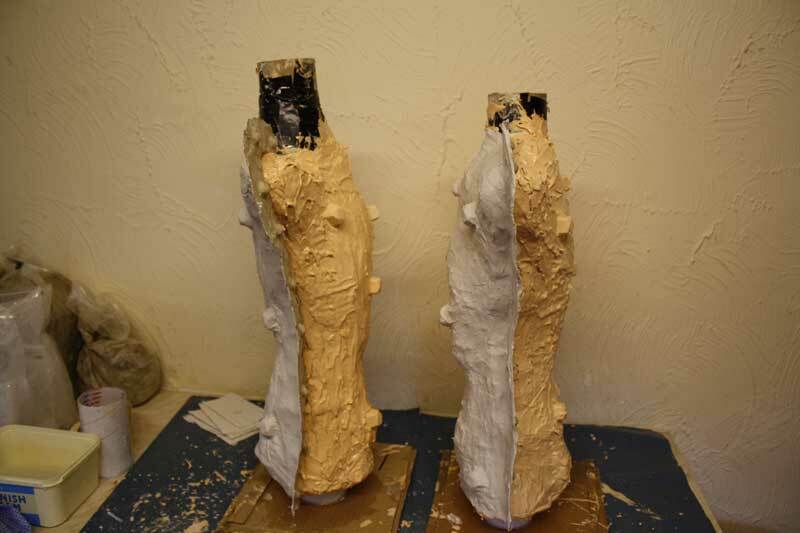 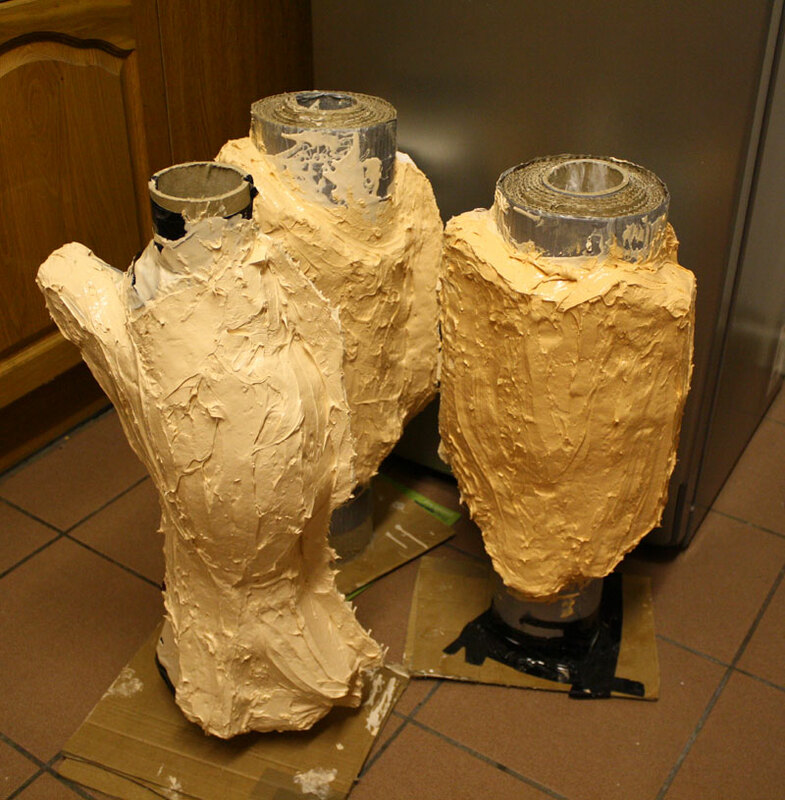 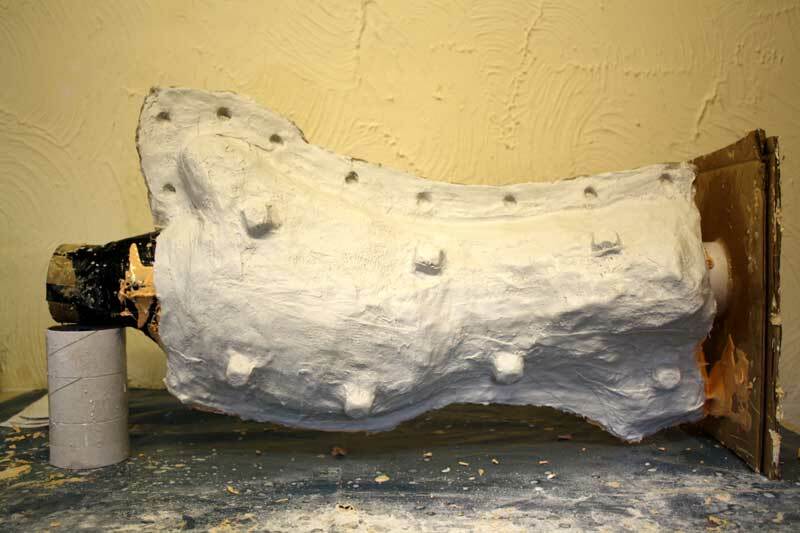 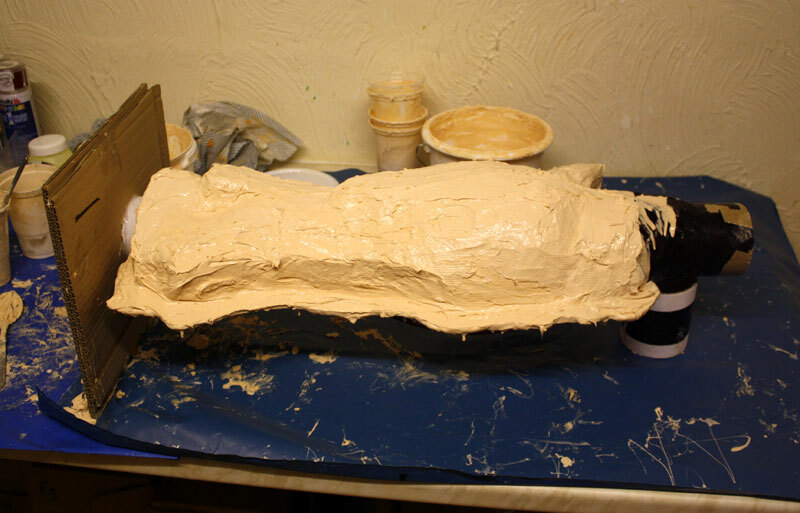 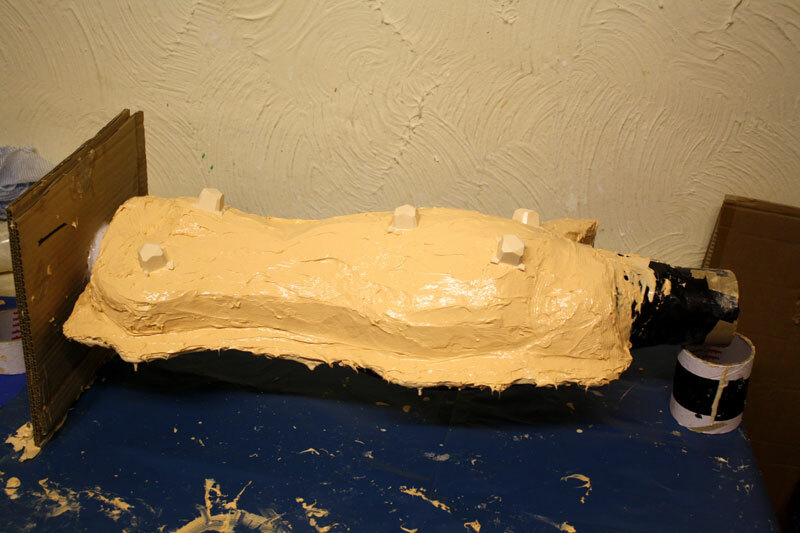 This is the process I used to make wrap-around moulds for the arms and legs, with one piece of silicone and a two part mother mould. 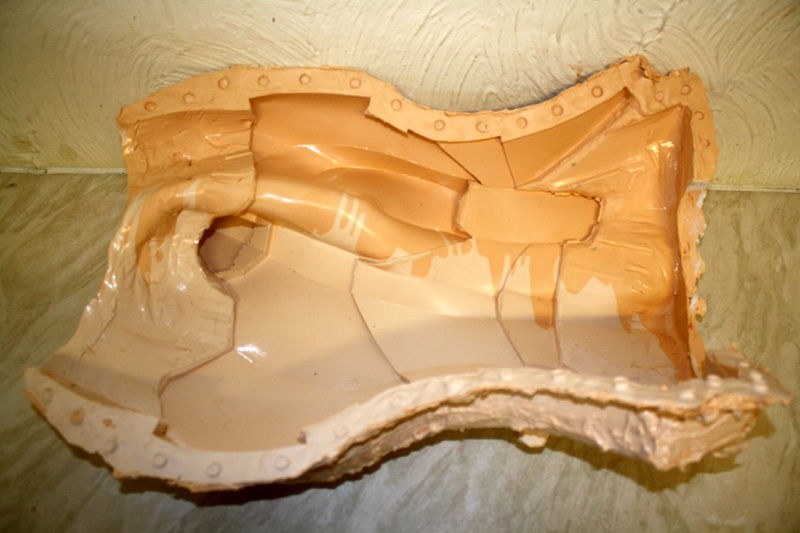 This means there is only one seam line to clean up in the cast, and less chance of the mould leaking during rotocasting. 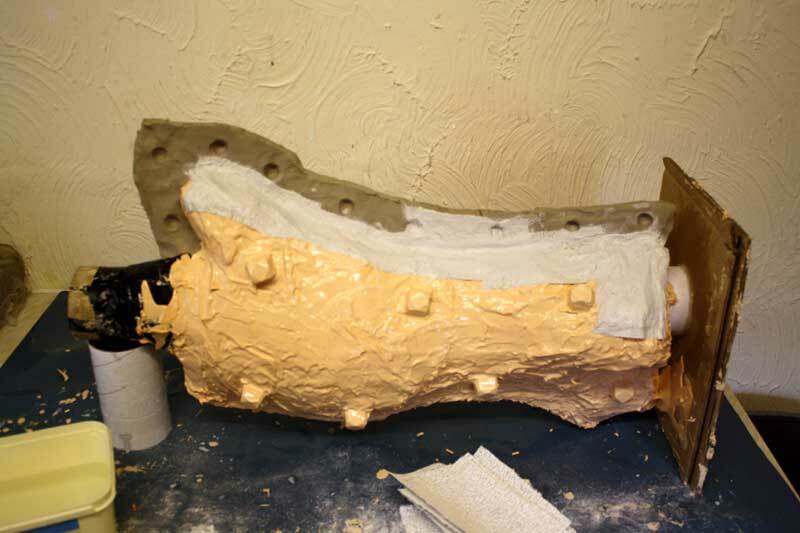 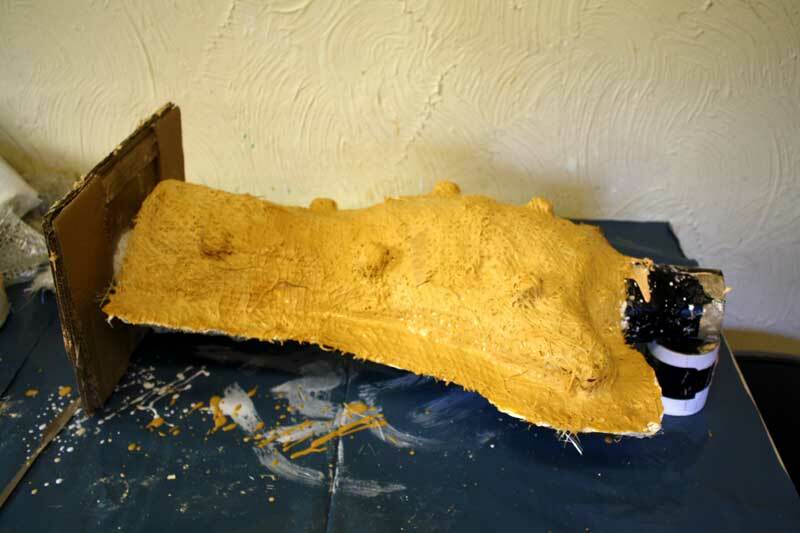 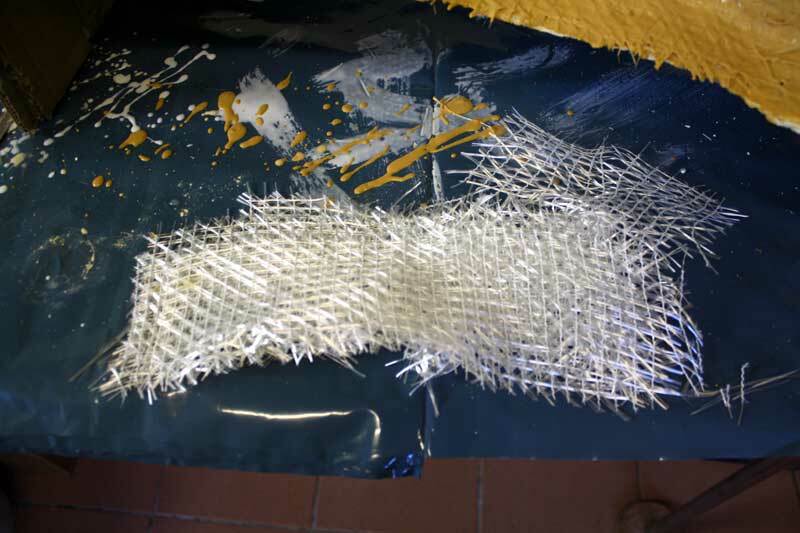 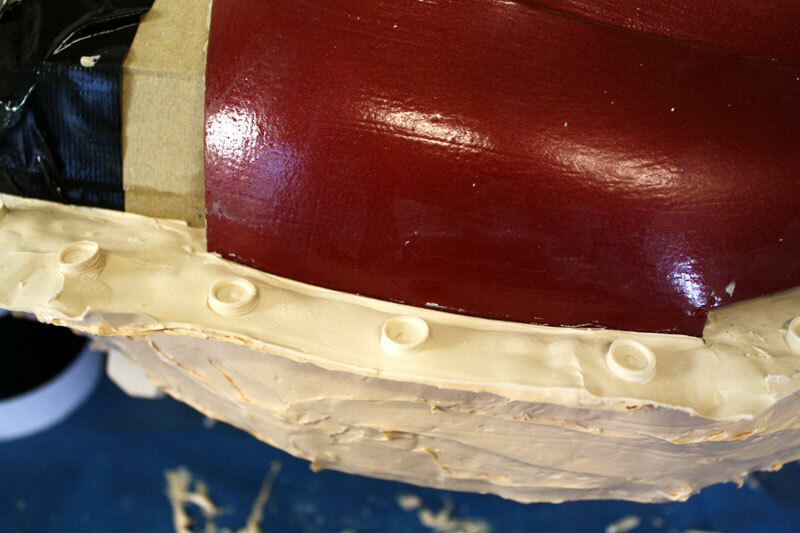 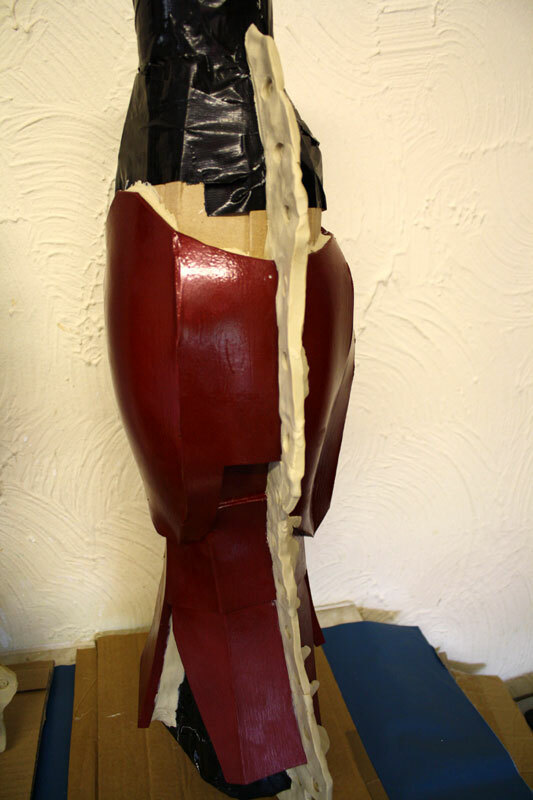 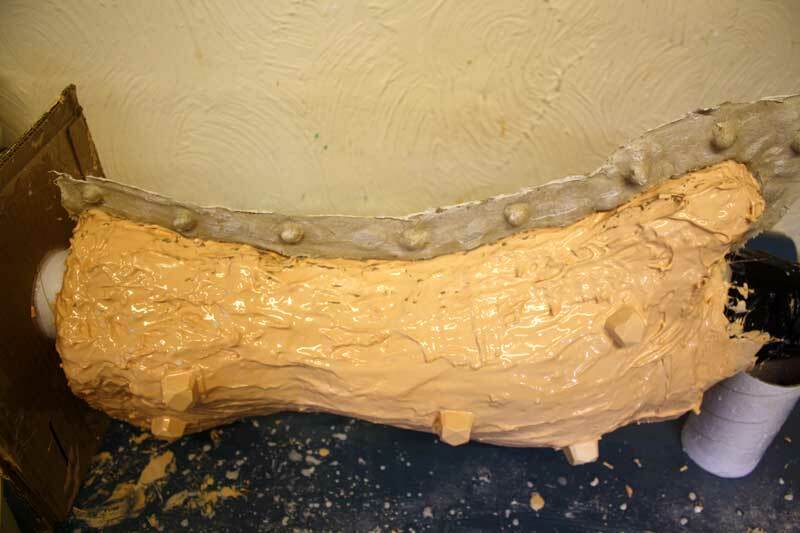 Once the modroc is dry, fibreglass reinforcement is applied to both sides. 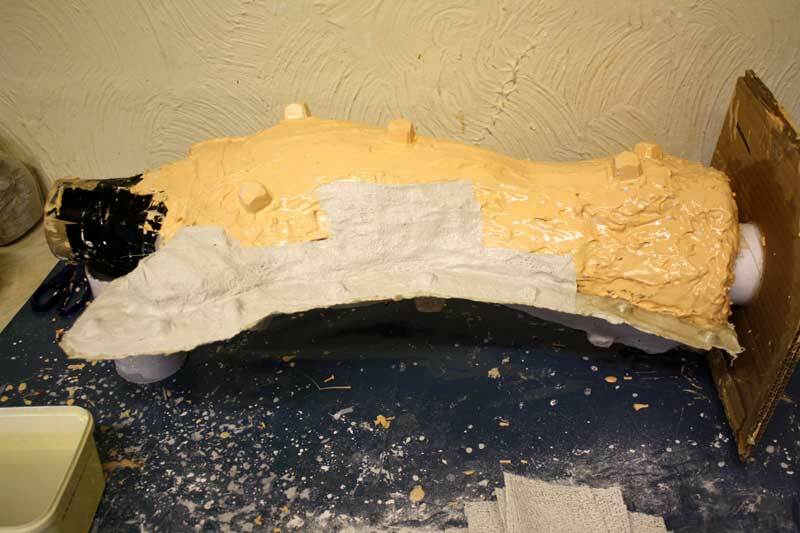 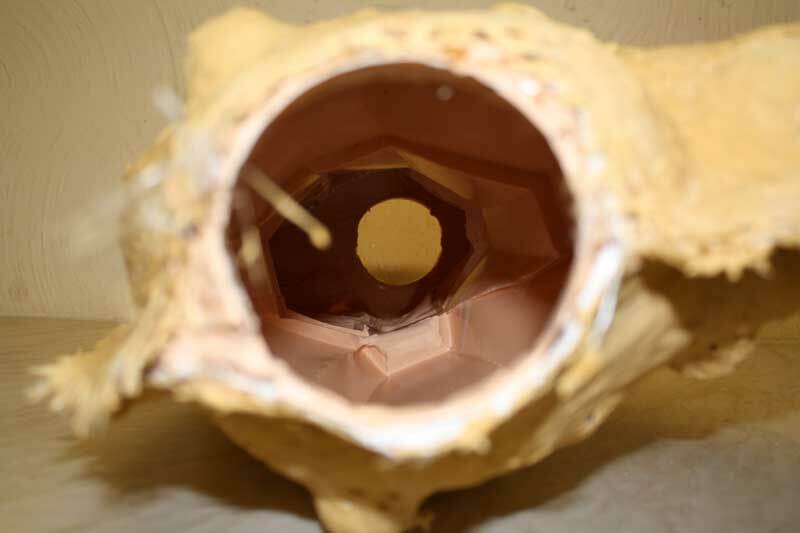 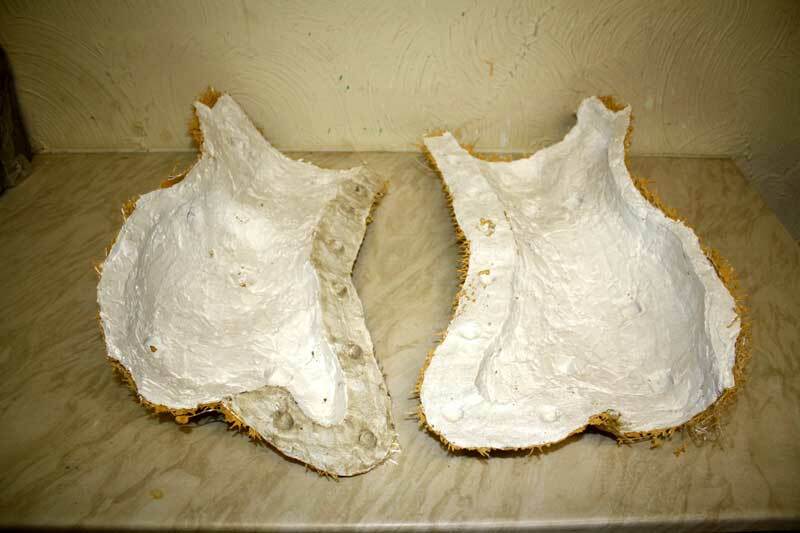 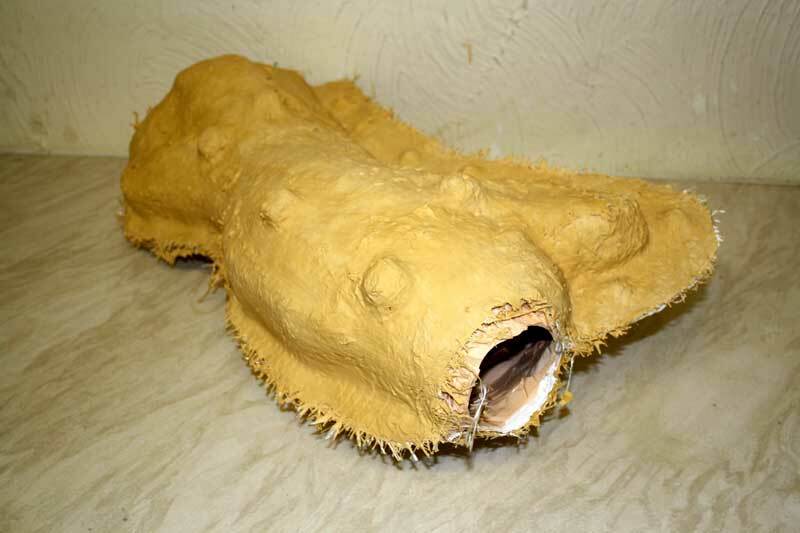 In this case I used a combination of Jesmonite, and some other yellow plaster I had lying about – basically anything strong and rigid will do.